Got solix units networked and was picking sonar sources. 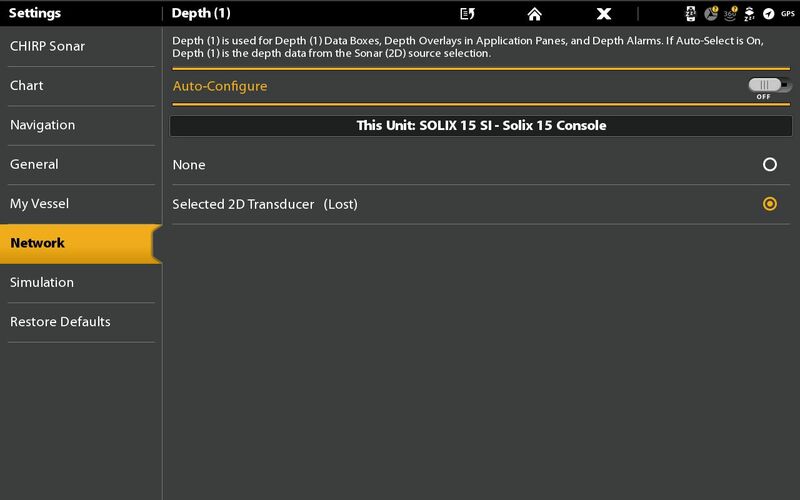 I picked for depth 1 the transducer that's connected to unit but said selected 2d transducer (Lost). After a few min. lost went away. See picture. Why would lost show when it connected to unit I was setting it up? Also why are there two gps and depth to pick? Is 2 in case number 1 fails? Thanks.